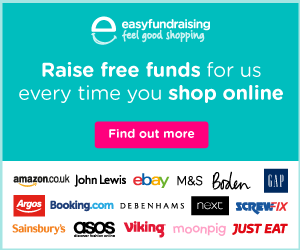 Please help support Sullivan’s Heroes, and raise funds for disabled children’s home adaptations, every time you shop online. Every time you shop, you’ll raise a free donation for Sullivan’s Heroes every time, it’s that easy! Find out more and Sign Up for FREE here.